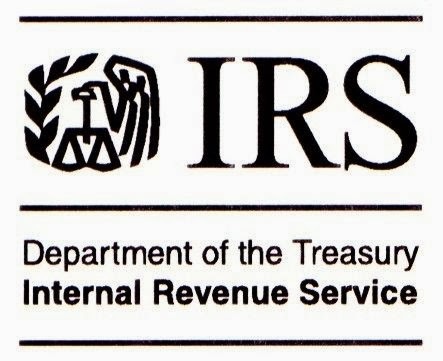 WASHINGTON — The Internal Revenue Service today reminded taxpayers who turned 70½ during 2013 that in most cases they must start receiving required minimum distributions (RMDs) from Individual Retirement Accounts (IRAs) and workplace retirement plans by Tuesday, April 1, 2014. The April 1 deadline applies to owners of traditional IRAs but not Roth IRAs. Normally, it also applies to participants in various workplace retirement plans, including 401(k), 403(b) and 457 plans. The April 1 deadline only applies to the required distribution for the first year. For all subsequent years, the RMD must be made by Dec. 31. So, for example, a taxpayer who turned 70½ in 2013 and receives the first required payment on April 1, 2014 must still receive the second RMD by Dec. 31, 2014. Affected taxpayers who turned 70½ during 2013 must figure the RMD for the first year using their life expectancy on Dec. 31, 2013 and their account balance on Dec. 31, 2012. The trustee reports the year-end account value to the IRA owner on Form 5498 in Box 5. Worksheets and life expectancy tables for making this computation can be found in the Appendices to Publication 590. Most taxpayers use Table III (Uniform Lifetime) to figure their RMD. For a taxpayer who turned 71 in 2013, for example, the first required distribution would be based on a life expectancy of 26.5 years. A separate table, Table II, applies to a taxpayer married to a spouse who is more than 10 years younger and is the taxpayer’s only beneficiary. Though the April 1 deadline is mandatory for all owners of traditional IRAs and most participants in workplace retirement plans, some people with workplace plans can wait longer to receive their RMD. Usually, employees who are still working can, if their plan allows, wait until April 1 of the year after they retire to start receiving these distributions. See Tax on Excess Accumulations in Publication 575. Employees of public schools and certain tax-exempt organizations with 403(b) plan accruals before 1987 should check with their employer, plan administrator or provider to see how to treat these accruals. The IRS encourages taxpayers to begin planning now for any distributions required during 2014. An IRA trustee must either report the amount of the RMD to the IRA owner or offer to calculate it for the owner. Often, the trustee shows the RMD amount in Box 12b on Form 5498. For a 2014 RMD, this amount would be on the 2013 Form 5498 that is normally issued in January 2014. More information on RMDs, including answers to frequently asked questions, can be found on IRS.gov.